Oak Island Fishing Charters managed to get a good shark fishing trip in today without even getting rained on. We fished off Bald Head Island NC and the sharks were hitting the bait while the rod was still in my hand. Fall Fishing is around the corner and I only have a couple more days open for the month of OCT. so don’t delay. Oak Island Fishing Charters had a hard time getting on the fish this morning but we did manage a few Red Drum. I sure do hope this weather brings the King Mackerel in. 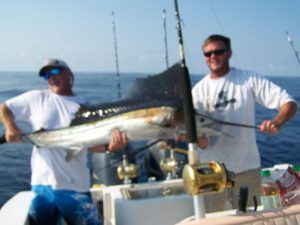 The Fall fishing has started with Oak Island Fishing Charters and if we can keep the storms away this year could be great. We had 5 Flounder some Drum and Big Spanish Mackeral today. Oak Island Fishing Charters got a late start today so I was all turned around. First the bluefish was all over and in no time we had enough to go fishing. We tried to catch a King Mackerel but the conditions just did not look right so off to the Shrimp Boats we went. After moving around from one boat to another we finally found them and they were full grown (100lbs plus). Oak Island Fishing Charters Wahoo, Sailfish Pic. Here are some action photos from Wed. when Team OIFC and Austin (Clearly Hooked) joined me for some brain storming. 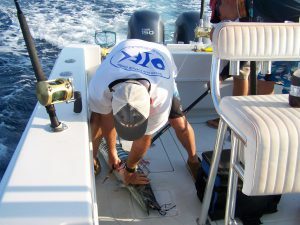 We pretty much caught the 5 wahoo, King and Sailfish in less than 2 hours. Oak Island Fishing Charters found the Spanish thick again this morning and in no time we had a cooler full. Fall is around the Corner and we only have a few days open for the whole month of OCT so you still have a chance to book some of the best fishing of the season. We Live Bait fish for hot action so come join us as we take it to the next level while other watch. Oak Island Fishing Charters was joined with OIFC.com crew today in search of a relaxing day catching Wahoo and Grouper. 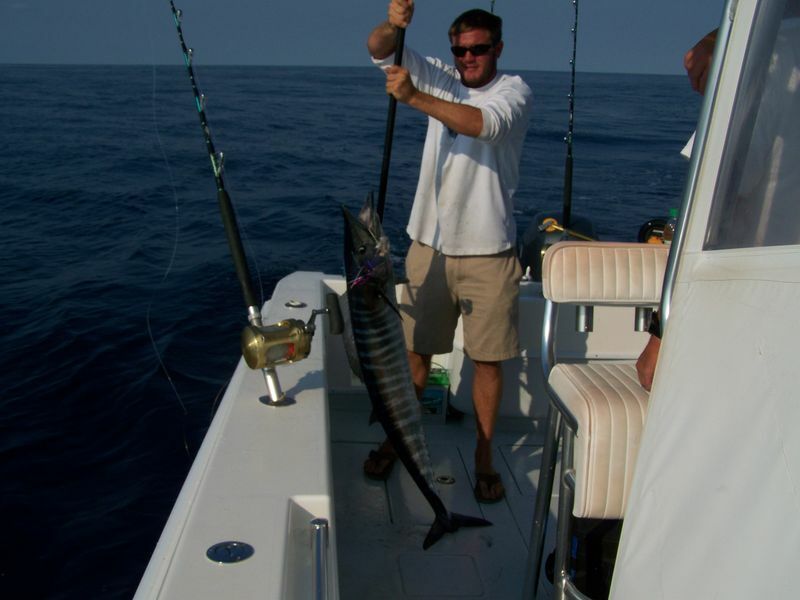 To keep it short we caught 5 Wahoo, Sailfish, 35lb King Mackerel and 5 Grouper (wish everyday was this easy). Pictures and Videos to come. 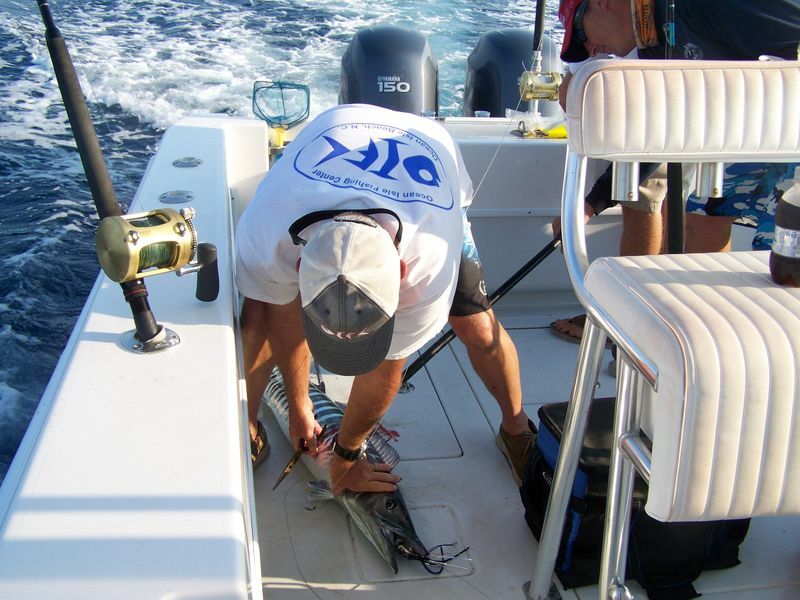 Oak Island Fishing Charters caught the boats limit on everything but Grouper. We did catch a few Grouper but not like we are supposed to do. Anyway point is the fishing does not get any easier than it is right now but I sure do wish the Grouper would fire up. Today Oak Island Fishing Charters went out bottom fishing and will have to say it does not get any easier. Black Bass, Vermilion Snapper, Trigger fish, Scamp Grouper and Grunts. Best thing is its all you want.